Bathroom upgrades are one of the most popular for home remodels. There are advantages to updating a bathroom that can benefit homeowners. For instance, bathroom remodels can increase the property value of the home. It can also correct features in the bathroom and add more space. The current look of the bathroom may contain outdated faucets, faded tile, and wear and tear. Homeowners can solve these issues by completing a bathroom remodel. Remodeling the bathroom can change the bathroom look to modern or classic. Here are 5 ways homeowners can change their Garden City bathroom with a remodel. Changing out bathroom fixtures are a simple way to give the bathroom a new look. They can accent the aesthetics of a bathroom while providing practicality. Depending on the age of the fixtures, they may become leaky or rusted. A leaky faucet can lead to an increase in a home’s water bill or cause water to build up. Water build up can damage other areas of the bathroom like cabinets or the floor. Installing new tile can help create a new look for the bathroom. Over time, bathroom tile can become faded or broken. Aging tile can cause the bathroom to have an outdated look, or make it unappealing. Homeowners have options when remodeling the bathroom flooring including installing ceramic, porcelain, or glass tile. Not only can the type tile be selected, but a heated floor can be installed for homes in colder climates like Garden City. Creating a new bathroom theme can provide practical applications for homeowners. If there is a limited amount of storage space in a bathroom, installing new cabinets can help solve storage issues. Bathroom vanities can add space because of the storage built behind the mirror. Depending on the bathroom, there may not be counter space available. Installing a countertop can add space where space didn’t exist before. Bathroom configurations come in different sizes and for some homeowners, they may want to expand the space. Depending on the needs of the household, taking out the tub for a dedicated stand-up shower may help increase space. If space is not an issue, a bathtub that doubles as a spa create a comfortable environment in the bathroom. A professional remodeling company may even find a way to expand space for both a shower and tub. The possibilities are endless with bathroom remodeling. Remodeling a bathroom is a great opportunity for upgrading to energy-efficiency products. The bathroom is one of the areas that consume the most water in the household. Adding an energy-efficient toilet can decrease water consumption, resulting in a lower energy bill. Even adding a low-flow showerhead can help lower the water consumption used in the bathroom. Energy-efficient products are also great for the environment. 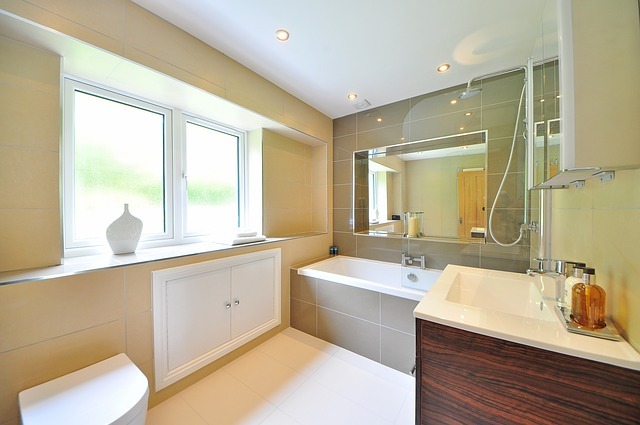 Bathroom remodeling provides homeowners with a plethora of benefits. Whether homeowners are looking to sell their home or are giving their bathroom a new look, remodeling provides plenty of opportunities. When searching for a remodeling company in Garden City that can create custom designs and maximize space in bathrooms, look no further than Strom Home Remodeling. The certified professionals at Strom Home Remodeling have years of experience remodeling bathrooms, kitchens, and entire households. Call 516-610-0420 for a free bathroom remodeling quote today!